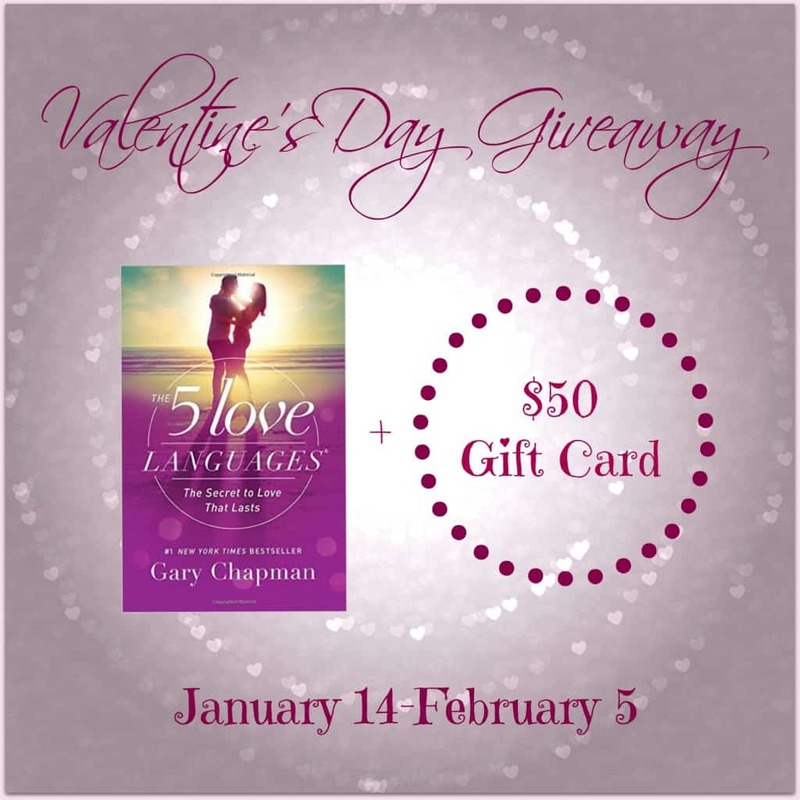 “The 5 Love Languages” by Gary Chapman is a book that comes highly recommended any time relationship books are brought up. The premise is that everyone has a different “love language,” and that to have a better relationship we need to know our spouses love language as well as our own. And since Valentine’s Day is the holiday of love, what better book to giveaway than one which will increase the love and understanding in our homes? Even if you are single, who doesn’t need an extra $50? You can treat yourself this Valentine’s Day, and give the book to your favorite couple. I am very excited to be able to join together with some other amazing bloggers to bring you this giveaway. Enter via the Giveaway Tools widget below. Each blogger participating will have various follow options to earn entries, so be sure to complete all the actions. The more points, the better your chances at winning! Plus, you may just find a new favorite blog to follow. Miranda at Drops of Learning will be choosing a winner and notifying them on February 6. The winner will have 48 hours to respond or a new winner will be chosen. Now onto the fun. Good luck! I like to connect with email. No, its not face to face. No, its not all that personal. However, it is quick and easy and more likely to happen. While quality is great, sometimes there is something to be said for quantity (within reason) too! by doing random activities together like an origami class or rock climbing on a rock wall or just going grocery shopping together. Cuddling is one of my favorite ways to connect. A big long hug can do wonders. My favorite way to connect with my hubby is to just talk over a cup of coffee or have a lunch/dinner date together so we can just focus on each other! My favorite way to connect is with a big hug and a plate of favorite foods. That’s how me and my husband are! Texting and face time is my way of connecting! Just spending time and talking to them is a great way to connect for me. My favorite way to connect is to have dinner together. I’ve been married forever, and I’m like a hundred, an email is fine with me. I like to connect by going for walks and just doing simple things together. I love to connect with my very sick loved one by massaging his hands with essential oils. We still have Sunday family dinner.. no phones.. only talking. We schedule monthly date nights! It does us good to get away from the house and do our own thing!